All Sojourn Bicycling & Active Vacations tours, river cruises, expedition cruises, and adventure trips. Find the best guided trips and expert planned vacation and holiday packages. 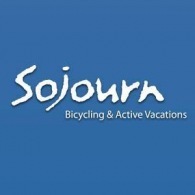 Average rating of 5.0 for all Sojourn Bicycling & Active Vacations trips. Enjoy a cruise across Lake Champlain while learning about osprey, eagles, and local history. Visit charming town of Essex - one of the most intact ensembles of pre-Civil War architecture in America. View the impressive waterfalls above what was an important maritime site during the Revolutionary War. Visit the Lake Champlain Maritime Museum to learn about watercraft and battles that shaped our history. Enjoy an espresso or gougère in a nearby French café, or a sublime piece of the best chocolate ever. Opportunity to cruise across Frenchman’s Bay to Schoodic Peninsula. Enjoy a traditional Maine Lobster Bake on the terrace of the inn with stunning oceanfront vistas. Picnic on the town green in Vergennes, an important maritime site during the Revolutionary War. Explore the Lake Champlain Maritime Museum and learn how Lake Champlain factored in the War of 1812. Spend an evening in New England's quintessential college town of Middlebury. Enjoy two nights at the historic Waybury Inn, featured in the Bob Newhart Show. Wrap up with two nights on the shore of Lake Champlain at the renowned Basin Harbor Club. Visit the Old Round Church. Sample homemade cider and donuts at a local orchard. Enjoy Computer-equipped road or hybrid bike, helmet, map case, water bottle. Bring clipless pedals, seat, or helmet for custom fit. A commemorative jersey will be provided to all participants. A group of experienced tour leaders will guide the trip from start to finish. The ratio of tour leaders to participants will be approximately 1:10. A selection of snacks and refreshments are supplied throughout all rides. Enjoy Rides supported by Sojourn vans as well as tour leaders on bicycles. Detailed route directions, maps, and a daily briefing are provided. Explore Québec City on the stunning Promenade-Samuel-de-Champlain bike path. Visit the expansive and beautiful Cape Cod National Seashore. Enjoy a harbor cruise to view hundreds of seals in Chatham Harbor. Ride along the most scenic sections of the Cape Cod Rail Trail. Join a whale watch from Provincetown to nearby Stellwagen Bank. Explore unique shops and galleries in Provincetown. Unwind in luxury lodging in Cape Cod's top inns and resorts. Group transfer from Boston's Marriott Long Wharf at tour start. Group ferry transfer to Boston at tour end.